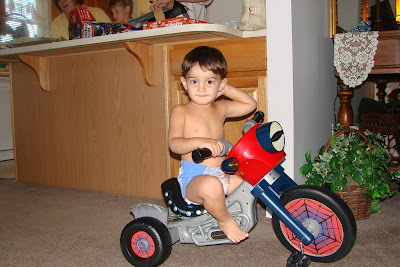 Kaleb on his new bike! 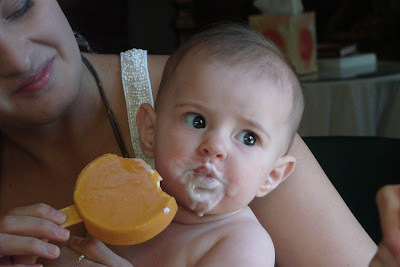 Isabella enjoying her first taste of ice cream...and she LOVED it!! She cried when it was taken away. 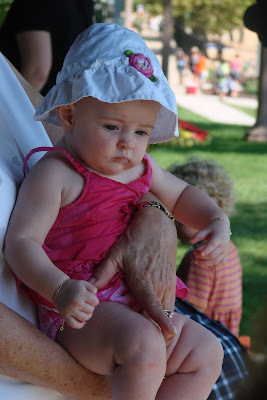 Picture of Isabella on Labor Day of this year. She's getting so big all ready...and what a cutie!! Well, here I am into day #2 of my new plan to post every day. I woke up this morning with muscle spasms so I took a muscle relaxer. It helped but put me right to sleep in the one chair that causes the muscle spasms so when I woke up the 2nd time today I had the spasms again so I took another muscle relaxer. Can you say tired:) That's what I am....tired!! I did pretty well all morning and then around 11:00 I got real nauseated and it's now 3:00 and am stil nausated. I've finally resigned myself to the fact that this is going to be a lousy day! Not much else to say because it's making me sicker to type. I got a new puppy this week. 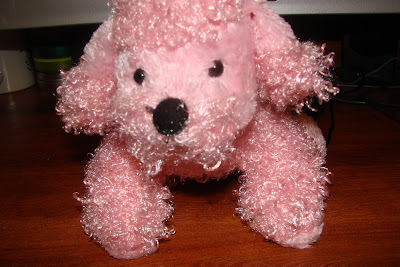 It's the one below...a pink poodle:) It is a webkinz dog and I care for it online. I play games with other people like checkers, rock paper and scissors, etc. to earn points and then I can buy things for my puppy. I've enjoyed it so far. And it hasn't wet on my carpet yet at all!! 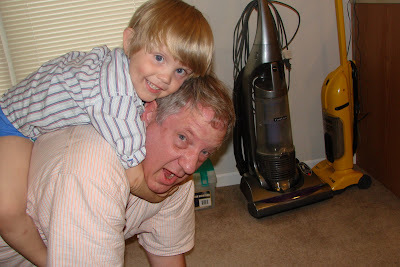 This is Caden and Grandpa Wayne wrestling. Grandpa had to call it quits before he got hurt...Caden LOVED it!! I have made a new committment with myself to try to keep up on this blog better than I have in the last couple of months. It is so healing for me to write my feelings about my health and when I don't I suffer more depression. I praise God for my pain doctor and that he prescribed a new medication for my feet. It keeps me almost 90% painfree in my feet. I still can't wear shoes without my feet burning but that is nothing compared with being in constant pain. I have read that the feet has more nerve endings than anywhere else in the body and I tend to really believe it! 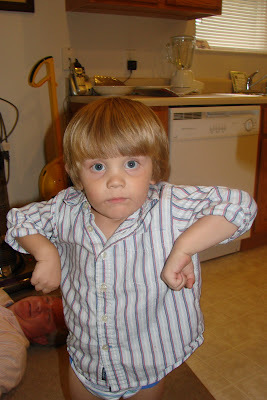 The picture below was taken on Labor Day 2007. Labor Day this year was on Sept. 3rd which was Rhebeca's 9th birthday. We all got together in Culver by the lake to celebrate Rhebeca and Kael's birthday's. Beca, as I said, was 9 and Kael is 4 years old. I'm very thankful for their presence in my life. They both bring me so much joy!! I haven't posted for a while because I have been plagued with depression...not bad but enough that I don't want to be negative on this blog. Every once in a while it hits me how disabled I really am. Our son was looking at a job in Oregon and it just crushed me. I knew I cannot fly and cannot sleep in a hotel bed. So, I would be unable to visit them. I had a hard time working myself out of that. I tried to explain to him how I felt but unless you experience my disabilities it's very hard to understand the confinement of them. Unless things change for me we will not be able to travel anymore. I have tried to be thankful for the amount of travel I've been able to do up to this point. Wayne and I were able to do a LOT of traveling in connection to the business. We really enjoyed the many places we were able to go and experience. I am trying to look back on memories and enjoy them and look forward with anticipation for a wonderful future with a family that loves each other. Our granddaughter was upset about a week ago. One of the family members had said something that upset her. I told her that there are about 20 of us total in this family and there is no way that 20 people are going to agree with each other in any given moment. But, being a family we must overlook and forgive the shortcomings of the other person and continue on in love. That's what a family does!That's a paraphrase but I have thought about my own words of wisdom many times in the years of raising children and living in the same town as our parents. We are all so different but we have somehow managed to remain friends!